Cheap round trip flights from Scandinavia to Los Angeles from €256! Experience service of 5-star carrier Hainan Airlines on direct flights from Italy (Rome) to China (Xi´An, Chongqing) already for €379. Fare of this non-stop solution is including all taxes and fees as well as one piece of checked baggage. (up to 23kgs). This Hainan Airlines sale is valid for flights departing to China from 17th of October to 6th of December 2017. Blackout period around Christmas holidays. Max stay 6 months. Below you may refer to booking and travel date samples. To book your accommodation in Chongqing you may use Booking.com or consider following promo codes offered by Hotels.com, Hotelopia or Venere. If you need to find cheap connection flight from your home town we recommend to use Skyscanner. 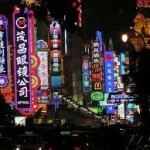 Booking sample of cheap direct flights from Rome to China (Xi´An, Chongqing) from €379! In this case you would depart from Italy to China on 10th of November. Your return flight from Congqing back to Europe would be two weeks later on 24th of November 2017.